Having a planner is a great way to keep track of everything that is happening in your life. It can help you remember important dates and be less anxious about forgetting them. 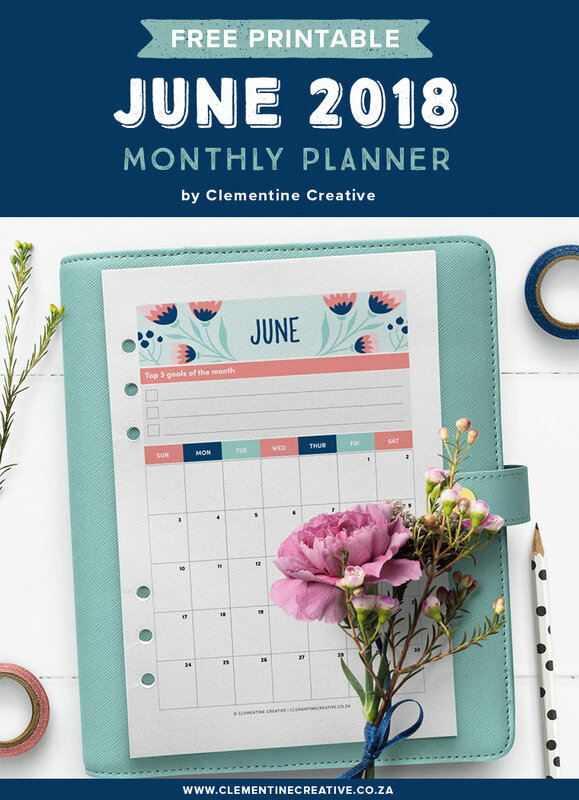 However, there are many more things that you can add to your planner in order to get the most out of it. 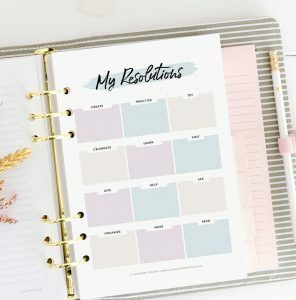 With a habit tracker you get the wonderful opportunity to check how many of those goals you are following through. Anything can end up on this tracker – water intake, reading, running, healthy eating etc. This is your habit tracker, so add any habit you are trying to implement in your life. This could, for example, work both ways – write down the habits that you want to get rid of as well, and leave each day that you don’t do them unmarked. 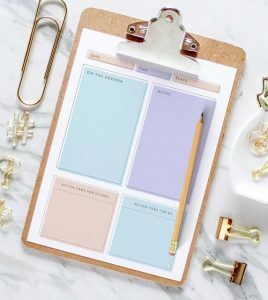 Looking for a free printable habit tracker? 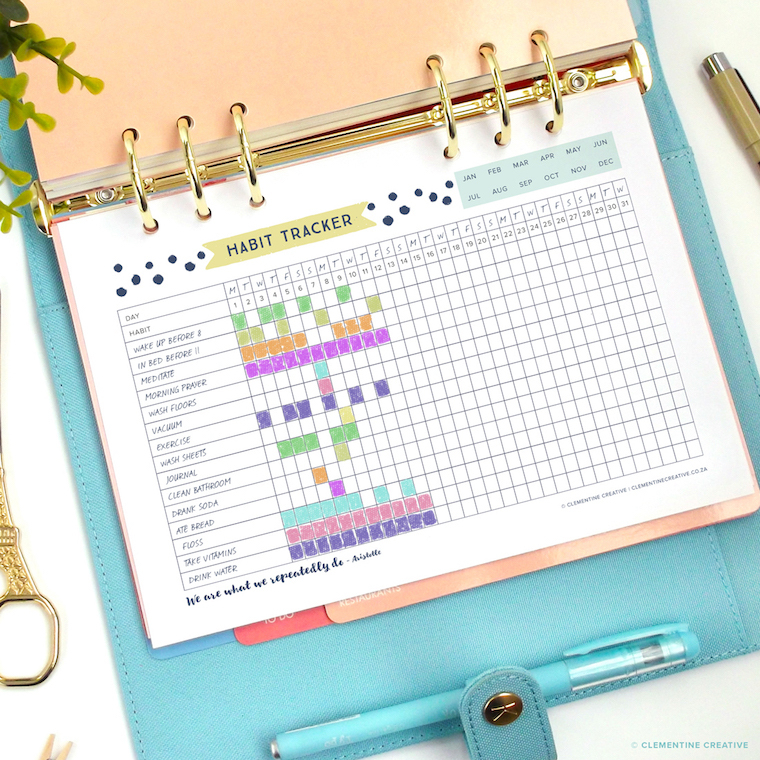 Download my habit tracker here for free! Writing down those small daily events can help you remember what your life was like some day. However, this is not just a good activity for keeping those memories safe, it also has a therapeutic effect. “Describing daily events in your planner is a great way to let go of stress and realise that life is good. This technique has proven extremely therapeutic in the past. The best thing about it is that it doesn’t have to be therapeutic only at the moment you are writing it down, but it can serve the same purpose in the future,” says Barney Cohen, a writer from Do My Assignment. Weather affects a lot of people’s mood. Keeping a record of what the weather was like can help you understand yourself and your emotions a lot better. 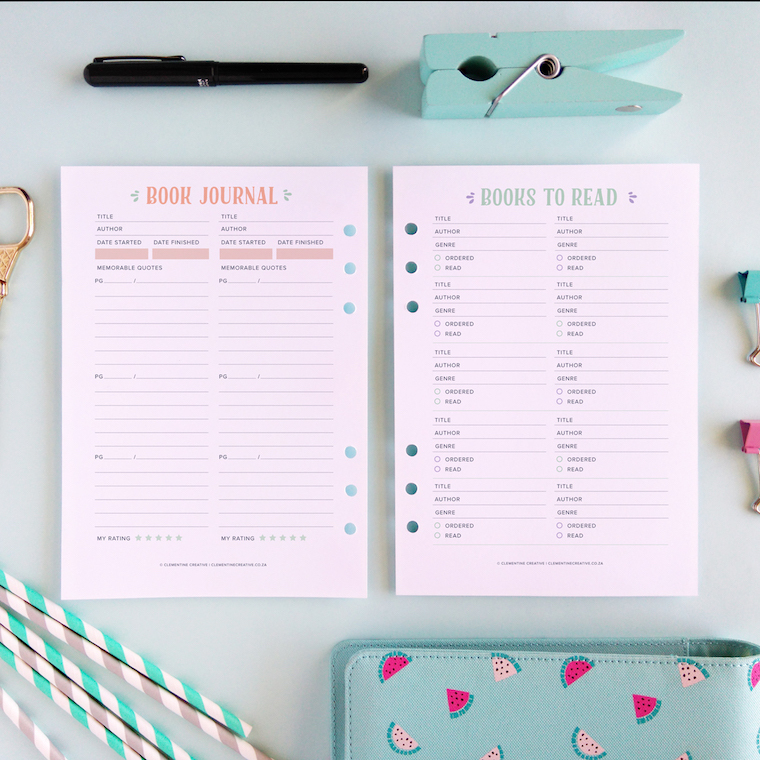 It’s also a great way to add some doodles to your planner – clouds, sunshine, rain, snow, etc. Emotion tracker is one of those elements used to understand yourself better. This can help you keep track of your mental health – it can help you see what is it that your bad days have in common and what your good days have in common. 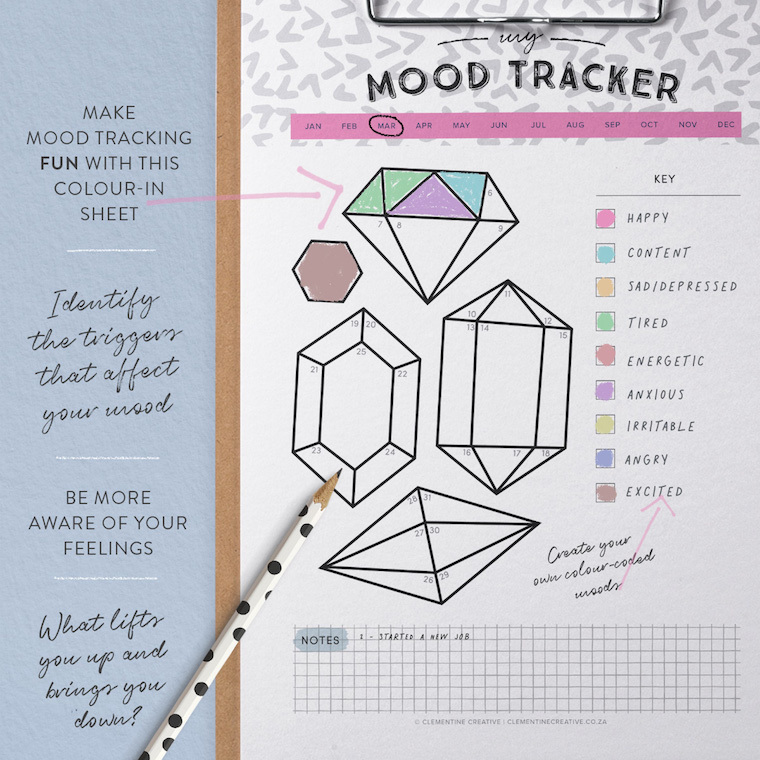 Looking for a printable mood tracker to help you track your moods in a fun way? Check out my printable mood tracker available in my shop here. This is where you’d write down all of your favourite quotes, movies, your favourite poetry, books or even your own words to keep you inspired. You can have one of these for each month and add to it every day. If you are writing all of the elements of your inspiration page yourself, you can get some writing tips and help from useful online resources like My Writing Way, Writing Populist, UKWritings or Simplegrad. 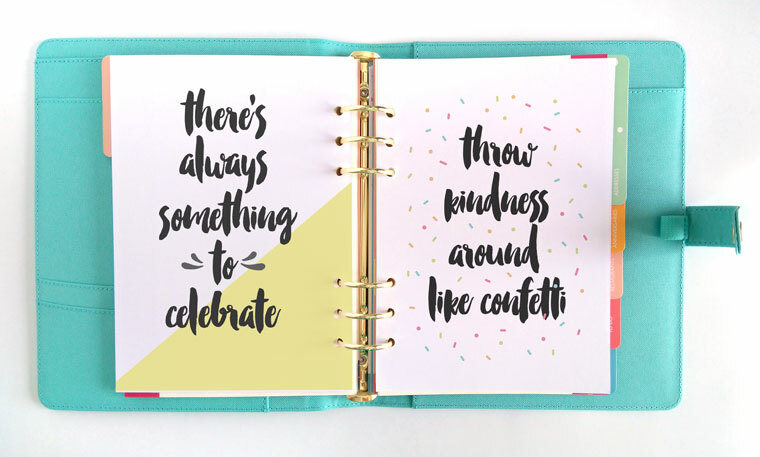 Looking for inspirational quotes to place in your planner? Download these free printable morning motivational quotes here. Due dates are always present in our life no matter if we are in school, college, whether we have a job or not. 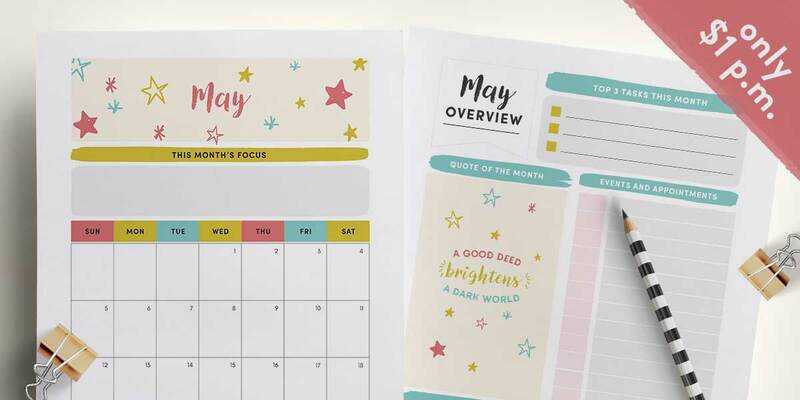 This is why it’s a good idea to keep a record of your due dates – it will help you remember them, start working on them in time, and de-stress your life a bit. 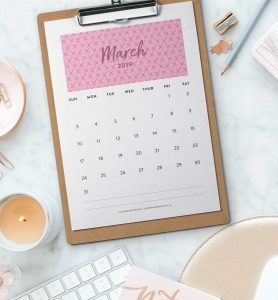 Write your due dates in these printable monthly planners I offer to newsletter subscribers. Click here to join. Everyone has a bucket list whether they keep it in their head or on the paper. Your bucket list might change over time so it’s a good idea to write it down and see how many of your bucket list points you can realise. This is also a good way to set goals and find a way to achieve them. “Bucket lists are truly inspiring. They push you to find ways to realize your dreams and inspire you to want great things in life. Everyone should have one of these – bucket lists can be useful if you are feeling down too,” says Audrey Michael, a writer from Essayroo. Print out some pictures of your friends, family, yourself, or anything else that you find beautiful and place it in your planner. 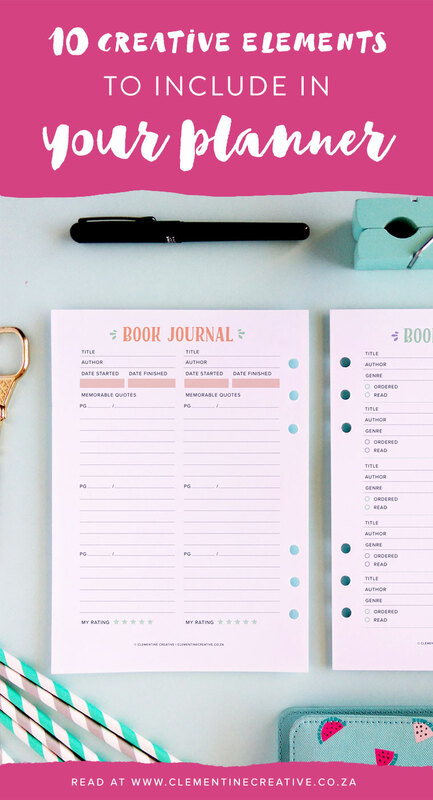 This is a good way to keep those memories safe and decorate your planner at the same time. Creating lists is fun and it can help you get to know yourself a bit better. Be completely honest when creating these in order to capture who you truly are at the time of writing. You could write lists of your favourite movies, books, songs, poems, TV shows etc. Looking for printable planner pages to write your favourite movies, books, etc. on? Check out my Inspired Life Planner here. Self-care is extremely important, especially in this time where shaming is so wide-spread. Negative thoughts have a lot more ways to get to you. This is why you need to take care of your mental health and write down affirmations, positive thoughts and good things about yourself. Having a planner is a great way to establish control over your life. 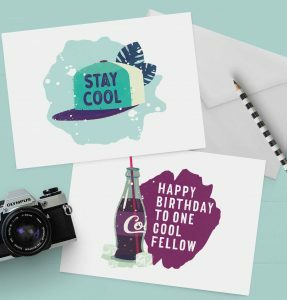 But, instead of it being boring and just a list of dates and things to do, you could add some of these fun and inquisitive elements to spice it up and have more fun – add colours, stickers, tapes etc. to make it look even better. 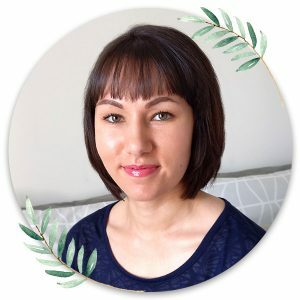 Grace Carter is an editor at Assignment Writing Service and Write My Australia, where she helps with content management. Also, Grace provides proofreading services at AustralianReviewer, website that reviews online writing services. 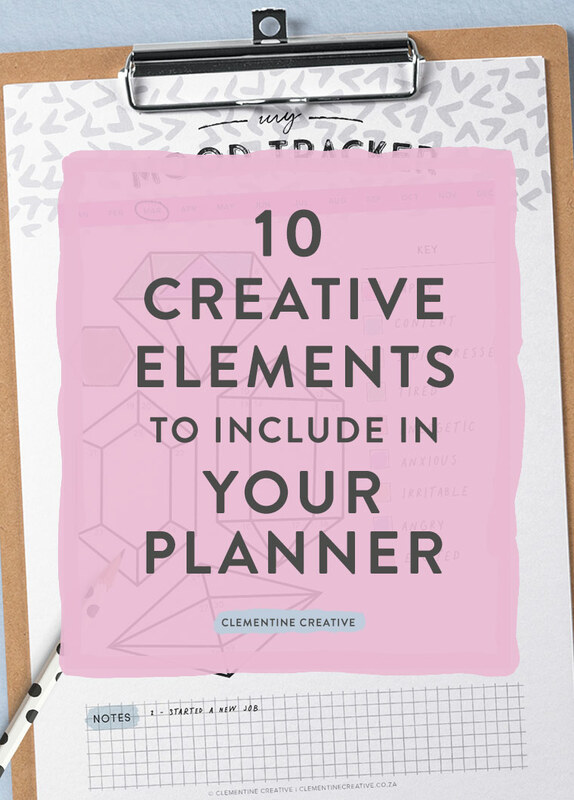 What other elements do you include in your planner? Let me know in the comments below!